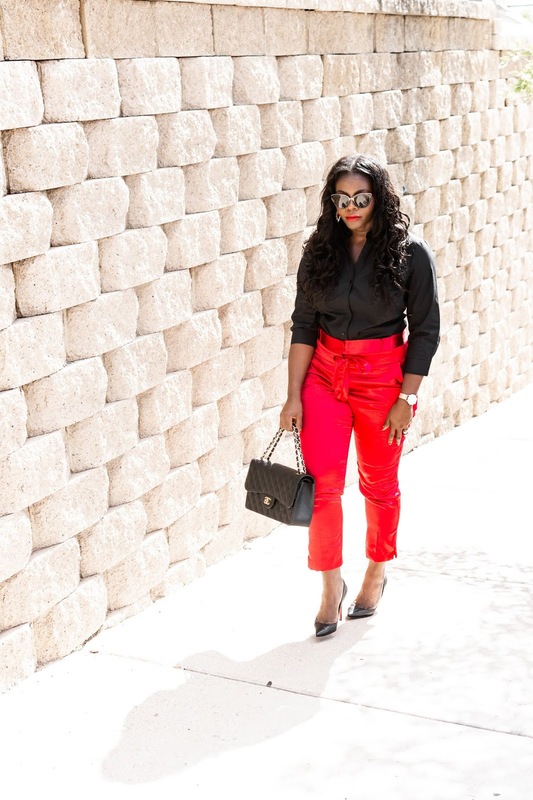 Hello Yvonne: STYLE: A Pop Of Red Paper Bag Waist Trousers! 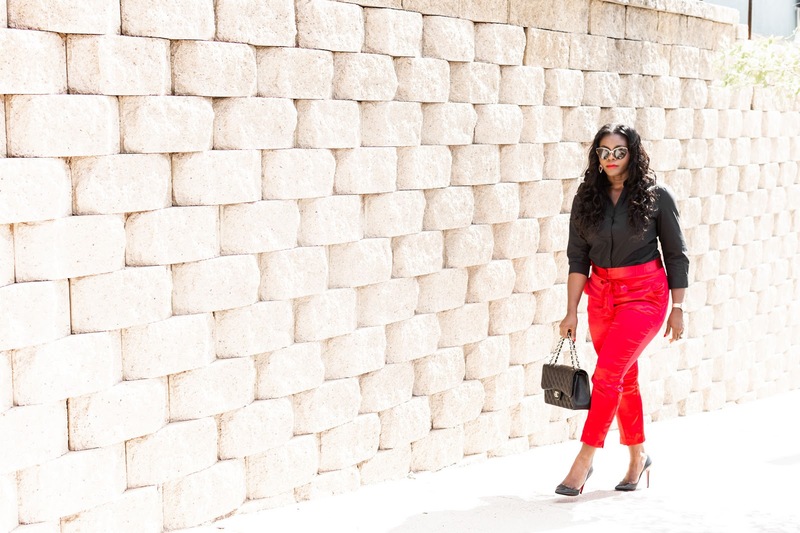 STYLE: A Pop Of Red Paper Bag Waist Trousers! 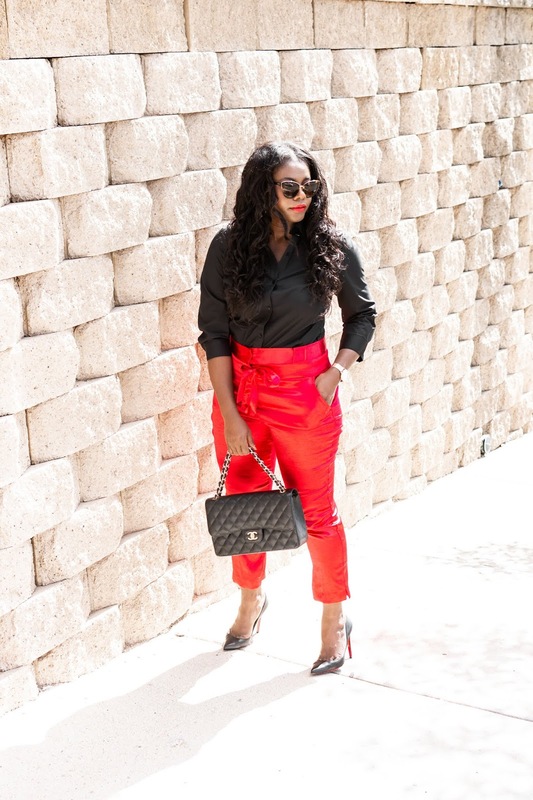 Heels- Christian Louboutin (here, similar) Watch and Sunnies- MVMT (Here, Here [use code helloyvonneblog15 for $15 off]), Shirt- JCPenney (Here)Trousers- older NY &Co (Similar, Similar). Hello and hope your week has been going great so far. Mine has been ok but I am ready for the weekend and this weekend, I am supposed to attend a local fashion week show. I am excited about this because I love fashion clearly and have future plans on attending NYFW or Milan, Lagos or Paris. Since I have not been able to do so, getting a small taste of it even locally is exciting to me and I'll chat about it next time. 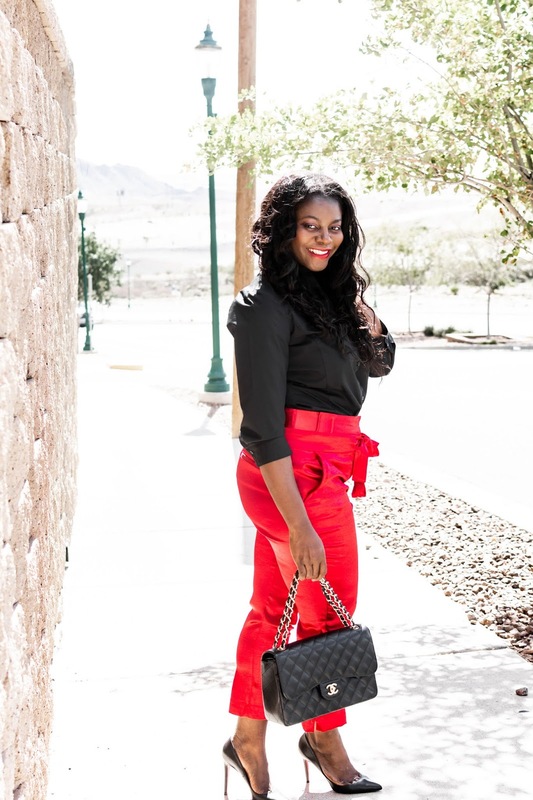 About this look, I love red year round and find that although it is synonymous with holiday season, it can be worn year round by everyone. 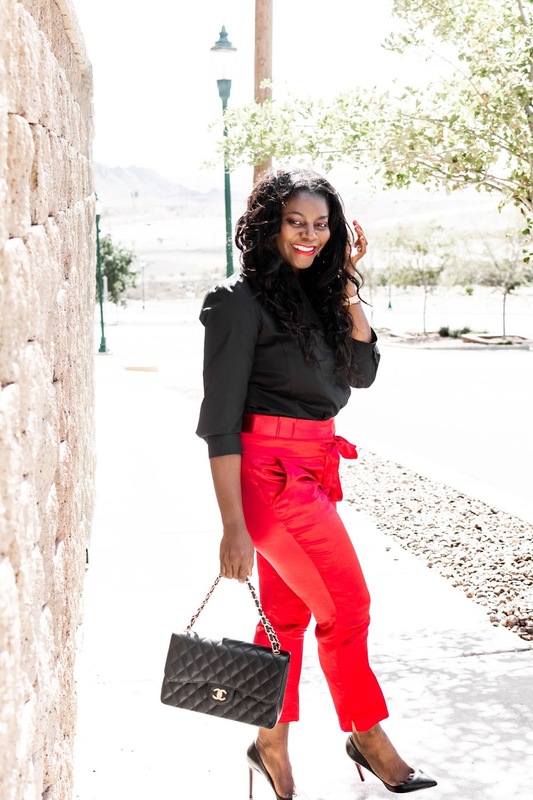 It just adds a certain pop to any look and with the trousers, I loved the sheen, the high waist, and the paper bag waist feature. 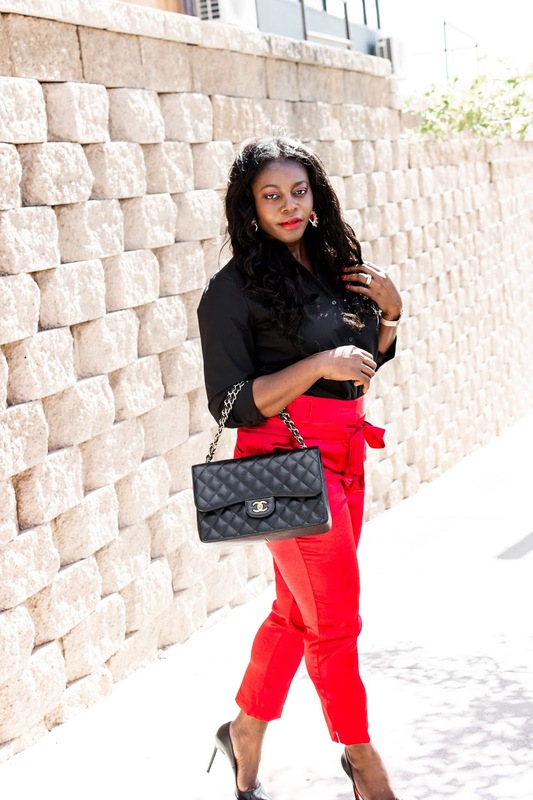 I wanted the focus on the trousers so I simply added black heels, bag, shirt and voila. Hope you like, and thanks for visiting! I'll take the whole outfit please, especially those sunnies, they look fabulous on you. 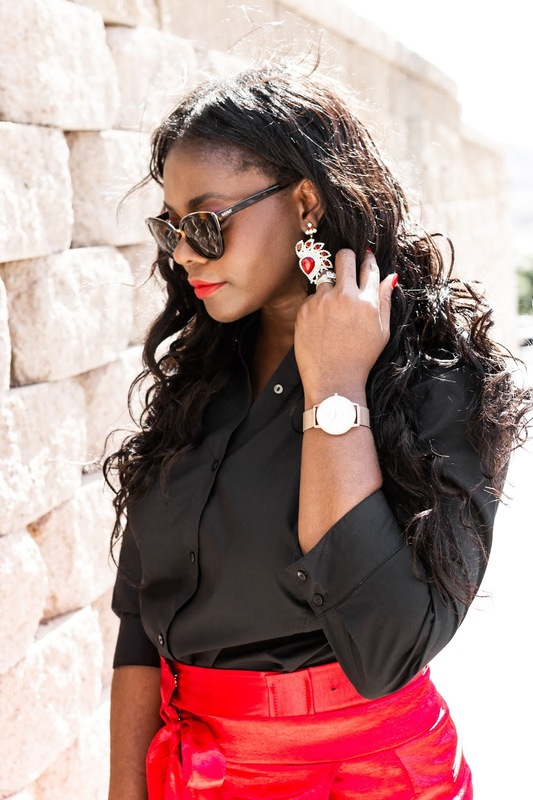 STYLE: Greys & a Pop of Neutral!